What do recycling steel and trade-in programs for old appliances have in common? Both are aimed at conserving valuable energy and natural resources. 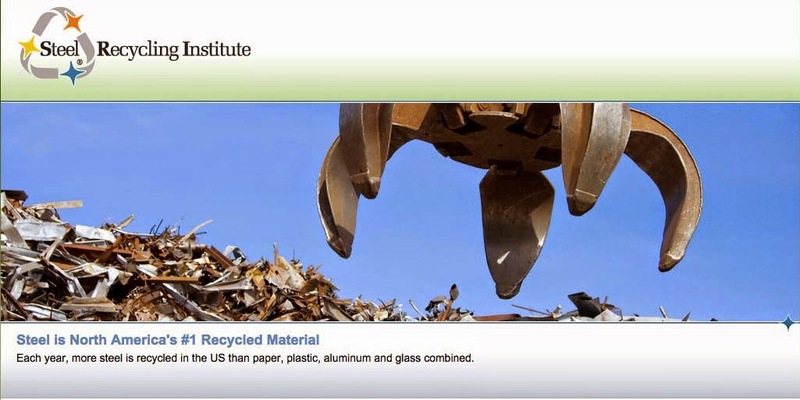 The recycling of appliances provides steel scrap, which conserves energy and valuable natural resources. Trade in programs, like Duke Energy's appliance recycling program, remove older, energy guzzling refrigerators and freezers that are in working condition off the energy grid for recycling. Duke Energy is participating in Ohio’s Oldest Refrigerator Contest, looking for the most ancient freezer or refrigerator for a lucky customer to receive upwards of $1,250. While this contest is only available for Ohio residents, it is just one component of Duke Energy's overall appliance recycling efforts. Duke Energy works with JACO Environmental and Appliance Recycling Centers of America to administer their appliance recycling program. These are two of the largest appliance recycling programs in the country. The appliance recycling program intends to remove the inefficient, energy-intensive equipment of the past and welcome the proficient, EnergyStar® approved new technology of today. Programs like this offer incentive to take the step of recycling these older appliances that often linger on in homes. The average steel weight of a refrigerator is 100 pounds, while smaller appliances have varying steel weights, about 90% of all appliances are recycled annually. With over 50 million appliances recycled in 2011, they are a valuable source of steel scrap, contributing to why steel remains North America’s #1 most recycled material. The steel industry relies on steel scrap to conserve energy and natural resources in the manufacturing of new products. Every ton of steel that is recycled conserves 2500 pounds of iron ore, 1400 pounds of coal and 120 pounds of limestone. Additionally, every bulky refrigerator not recycled unnecessarily contributes to the nation’s shrinking landfill space. Hazardous materials are also safely removed preventing possible contamination. “Older refrigerators and freezers manufactured before 1990 can use three times more energy than newer, high-efficiency appliances. Unplugging and properly disposing of them can save up to $150 annually on a customer’s energy bill,” says Langston. With more than 27,000 refrigerators and freezers recycled by Duke Energy through the end of last year, the impact can also be seen at higher levels. Duke Energy has offered appliance recycling for several years including a year-round incentive of up to $50, depending upon the customer's service area. They also offer energy efficient compact fluorescent light (CFL) bulbs, distributing nearly 37 million CFLs since 2010. They estimate the energy savings to power more than 97,000 residential homes and offset the carbon output of 205,000 passenger cars. “We are committed to operating in a way that is good for people, the planet and profits,” concluded Langston. The families that participate in Duke Energy’s appliance recycling program can feel proud that they are contributing to that same commitment. Duke Energy is the largest electric power holding company in the United States, supplying and delivering energy to approximately 7.2 million U.S. customers. They approximate 57,700 megawatts of electric generating capacity in the Carolinas, the Midwest and Florida – and natural gas distribution services in Ohio and Kentucky. Headquartered in Charlotte, N.C., Duke Energy is a Fortune 250 company traded on the New York Stock Exchange under the symbol DUK. 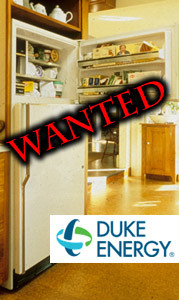 More information on Duke Energy and their appliance recycling contest can be found here. To find appliance, and other steel product, recycling options in your area visit the Steel Recycling Locator.